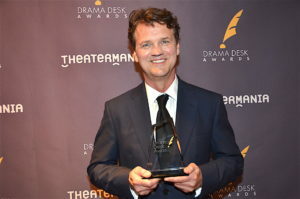 SpongeBob Square Pants, The Broadway Musical wins 6 Awards at the 63rd Annual Drama Desk Awards. 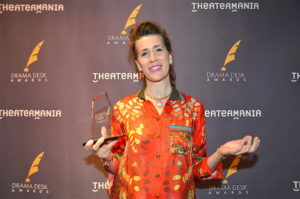 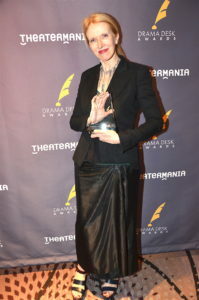 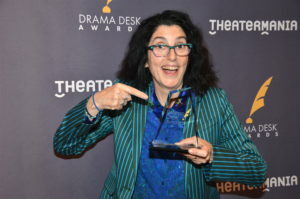 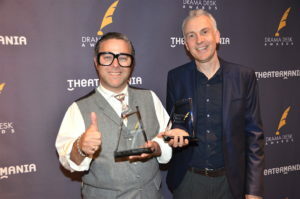 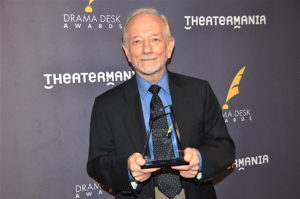 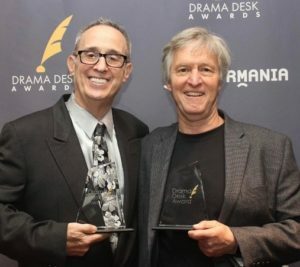 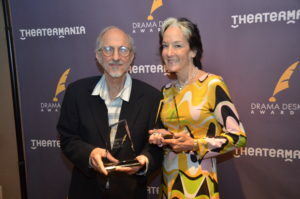 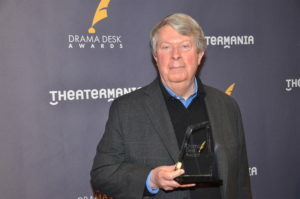 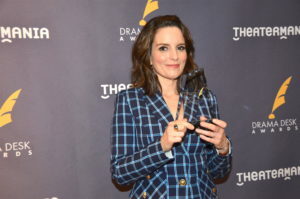 June 3, 2018: SpongeBob SquarePants, The Broadway Musical was the big winner at the 2018 Drama Desk Awards, taking home six awards including Outstanding Musical and Outstanding Director of a Musical for Tina Landau. 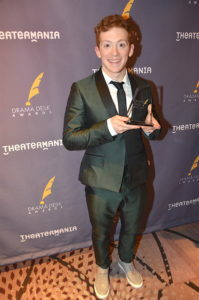 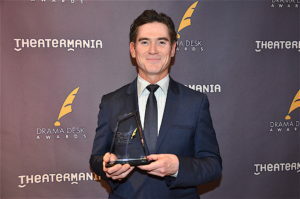 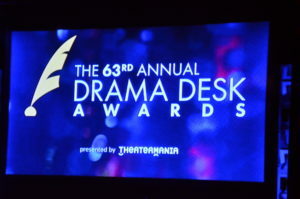 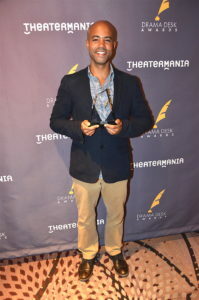 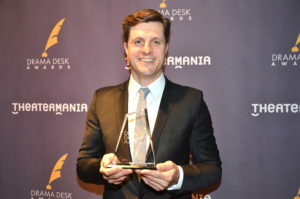 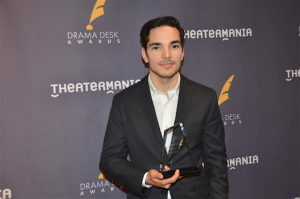 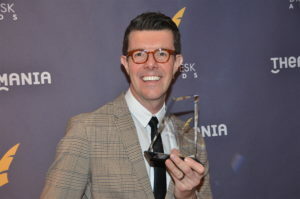 The show, based on the Nickelodeon cartoon series, also scored wins for Ethan Slater for Outstanding Actor in a Musical and Gavin Lee for Outstanding Featured Actor in a Musical. 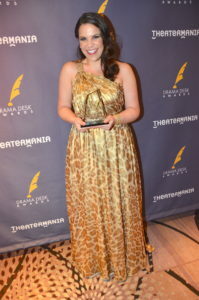 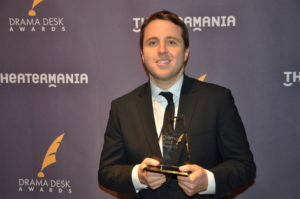 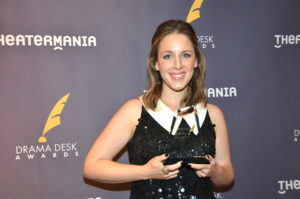 The revival of Carousel won five awards including wins for Jessie Mueller and Lindsay Mendez for Outstanding Actress in a Musical and Outstanding Featured Actress in a Musical, respectively. 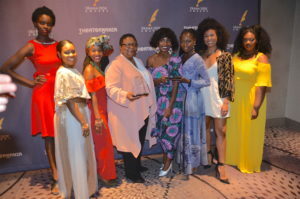 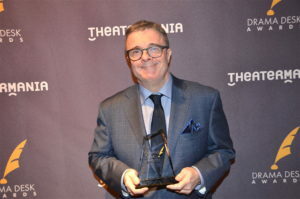 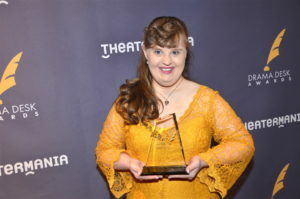 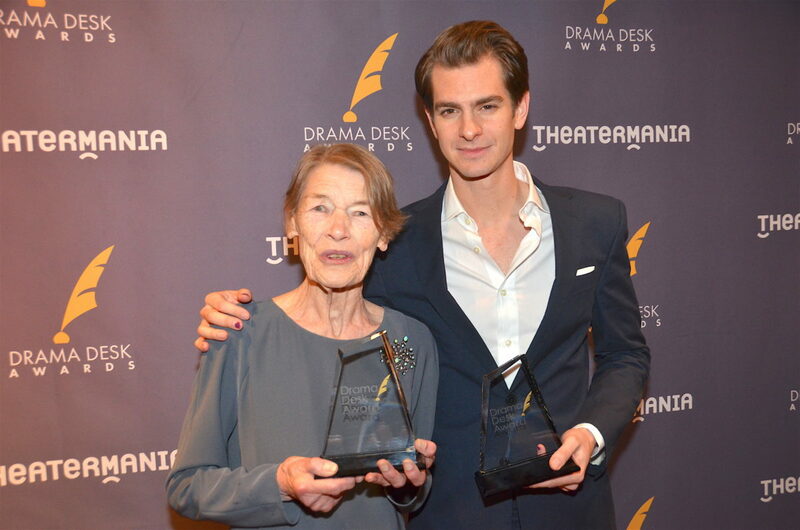 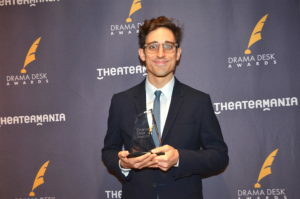 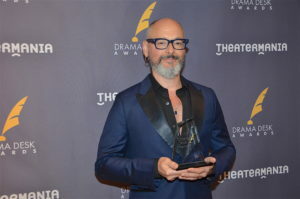 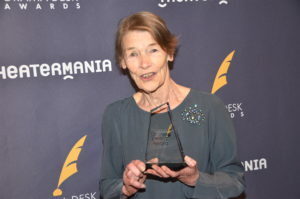 Also taking home five awards was the London import of Harry Potter and The Cursed Child, while the London import of Angels in America won three awards including Outstanding Revival of a Play. 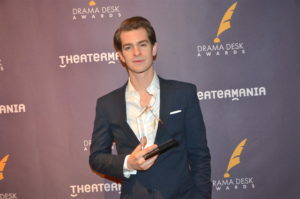 And Angles won acting awards for Andrew Garfield and Nathan Lane for Outstanding Actor and Outstanding featured actor, respectively.